Os grid reference SE 0464 4185. Jennet’s Well stands beside a house at the west end of Shann Lane, almost opposite Calversyke reservoir, on Black Hill to the west of Keighley, West Yorkshire. It has variously been called St Jennet’s Well, Jannet’s Well and Jenny’s Well, but as to whom it was originally named for is now lost in the mists of time. Jennet was thought to have been a tutelary Saxon saint who was venerated at Keighley, perhaps at a church that no longer exists, but there is no record of a saint of this name here and so Jennet must be regarded as an obscure or unknown saint. Could it be the word “Jennet” meant something entirely different? 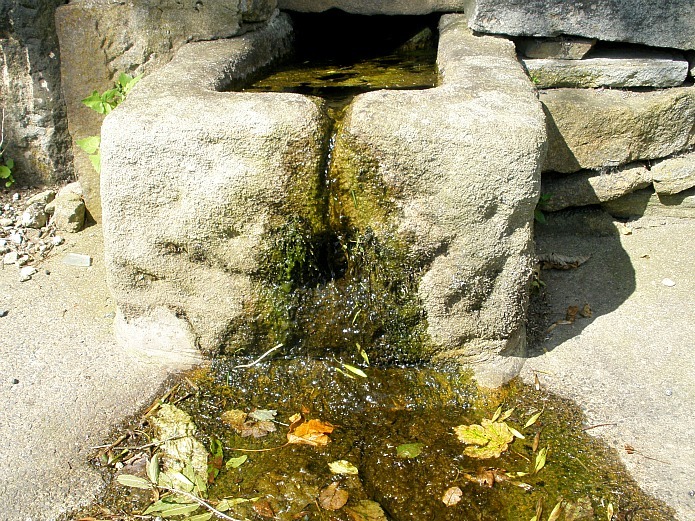 Legend says the well at Black Hill stands at a Christianized place, maybe where people in Saxon times could congregate, worship and receive a miraculous cure by the waters of this little holy well, which had become a Christianized spring because a holy person had dwelt there; the spring then having the power to cure illnesses. The town of Keighley is about 1 mile away to the south-east and Braithwaite village roughly half a mile in the same direction. The spring of water flows out from a stone structure and into a square-shaped stone basin that looks to have some faint carvings on it which resemble those from the late Anglo Saxon period; it then runs along a stone gulley, afterwhich it apparently runs under the lane and then on into the Calversyke reservoir, close by. It obviously pre-dates the house by many hundreds of years, but may originally have been used as a source of water by the occupants and others close-by – indeed there are a few records saying the well used to supply the town of Keighley when it was brought to peoples’ homes in stone troughs from the never-failing spring at the west side of the town, according to Stephen Whatley’s ‘England’s Gazetteer’ of 1750. Local folklore says the well was the haunt of the fairy folk in times gone-by. If you are going to look at the well or take photos there [please respect the privacy of the occupants of the house]. There are two other holy wells in this area: True Well and Goff Well. Dewhirst, Ian., A History of Keighley, Keighley Corporation, 1974. Whatley, Stephen., England’s Gazetteer, J & P Knapton, London, 1750. 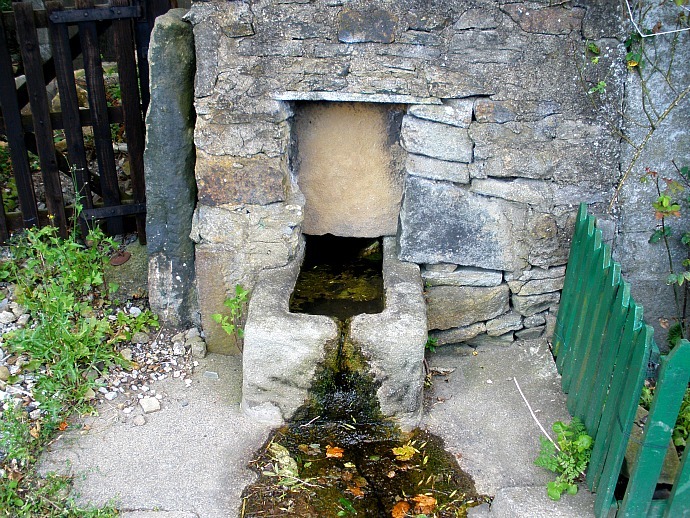 Categories: Holy Wells / Springs, Misc Subjects | Tags: Jennet's Well at Calversyke in Keighley West Yorkshire | Permalink.